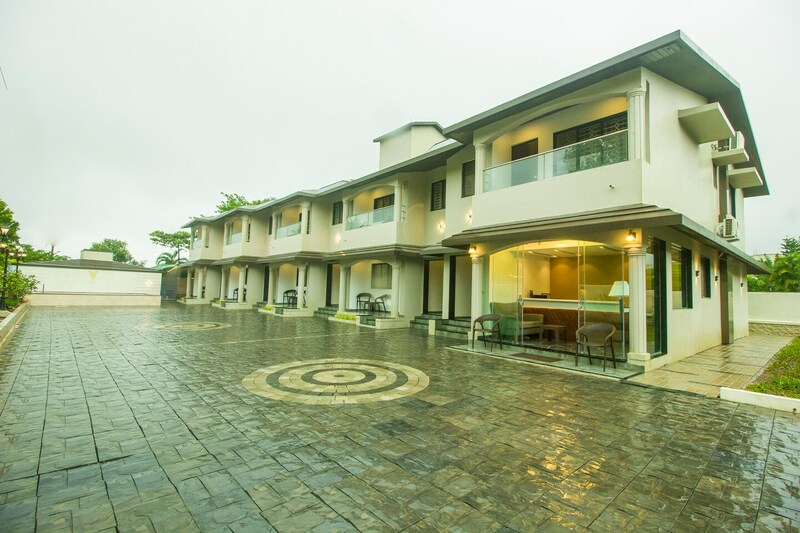 Capital O 16884 Five Elements is an independent five home villa situated in the center of Lonavla right on the edge of Mumbai-Pune highway. The rooms are very cozy, well furnished with hygienic bathrooms that have a separate shower area. Amenities like AC, TV and free internet are included. Keeping the needs of a holiday traveler in mind, facilities such as a swimming pool, complimentary breakfast, dining area, in-house restaurant and laundry services are provided. Parking space and power backup add to the comfort level. Some nearby tourist attractions include Lonavla Wax Museum, Valvandam, Bhairavnath Temple, Tiger Point, etc. Some famous eateries like Shilpas Homely Food, The Kinara Village Dhaba, Sheetal Da Dhaba, Grill Zoneand Nitins Mummys Homely Food are located nearby.